From delicious healthy treats to fresh and tasty weeknight dinners. There’s been a whole lotta quick and easy YUM on You Totally Got This year. But, of all the yum, there were some super delicious standouts. The recipes you clicked on, shared, and cooked up most this year. The best of the best. The yummiest of the yum. These are the quick and easy recipes that YOU loved in 2017. It’s official. Crack is not whack. This year’s most popular recipe. 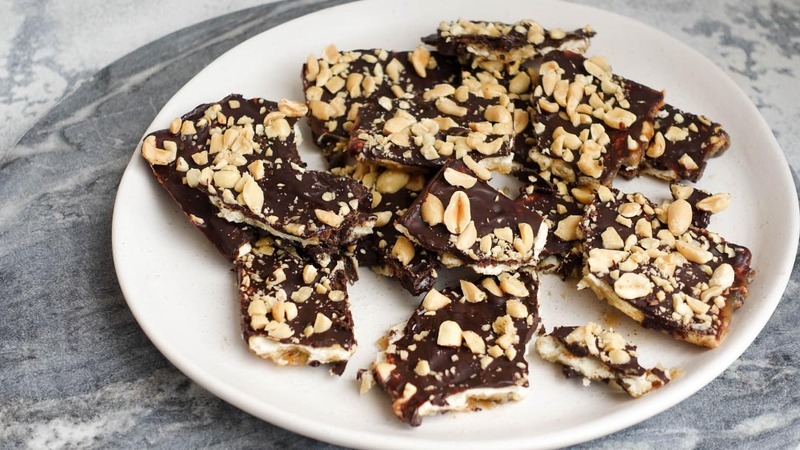 The sweet, salty, total deliciousness that is Chocolate Caramel Slice AKA Crack. Because it is sahhh A.D.D.C.T.I.V.E! 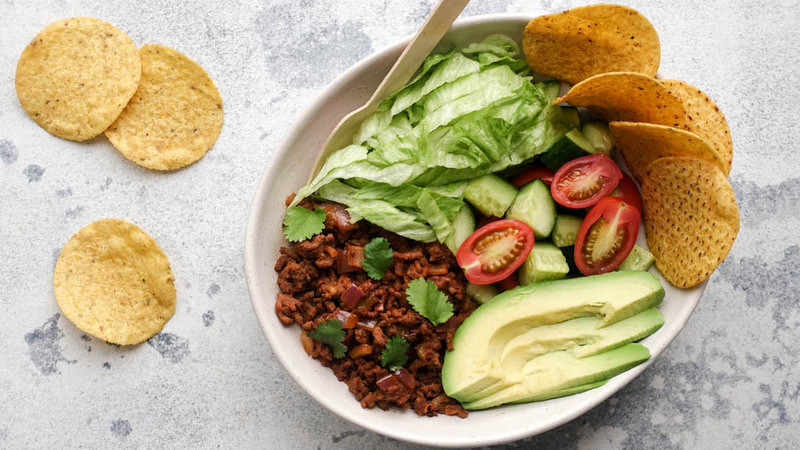 Plus, there’s that awesome secret ingredient (ahem…Saladas) that makes crack the perfect combo of easy and yum. If you’re not a crack addict yet, you haven’t lived. Get the recipe here. And. Go! Q. What do you get when you cross a cheeseburger and a pie? A. Something absolutely freaking delicious. Coming in at number two. My cheeseburger pizza. Think ALL the yum (hello pastry and cheese, my old friends). Plus, three serves of veg. But, SHHH! Cos, they’ll never ever know. My advice. Grab the recipe and get one in your pie hole, stat. 3 Ingredients. No Blitz. No Bake. Total YUM! Plus, gluten free, refined sugar free and dairy free. I know, right? They’re everything. Literally. Plus, they only take 10 minutes to cook. I don’t blame you guys for loving these. It’s impossible not too. Quick and easy recipes don’t get better than this. And the good news? The recipe is just a click away. Hey, wasn’t this easy cheesy lasagne on the list last year? Oh yes. Yes. It was. And wanna know, why? LASAGNE IN 30 MINUTES. Plus, amazingly delicious AND no kitchen mess. Yup. That’s why my one pan lasagne has made the list for the second year running. If there’s one recipe you need to cook in 2018, it’s this one. 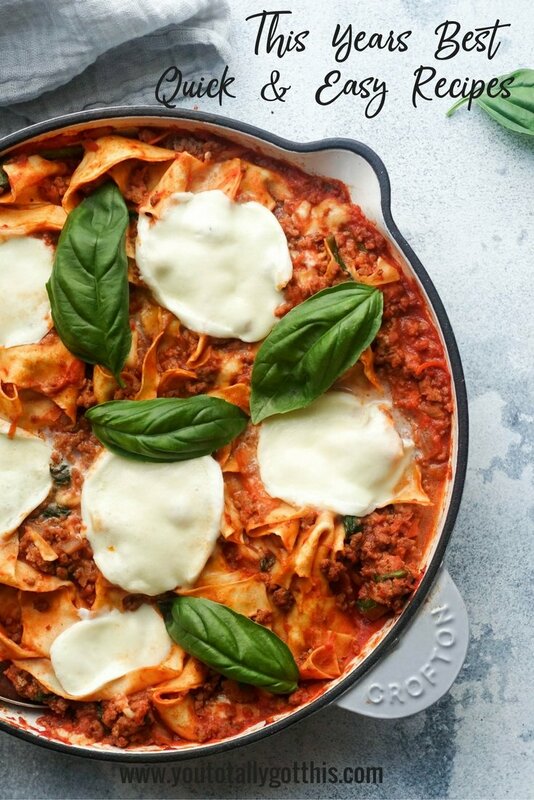 You’ll never do lasagne the hard way again. Cold Night. Apple Crumble. Nothing Better. Ever! Don’t tell the other recipes. But this has gotta be my favourite dessert on YTGT. 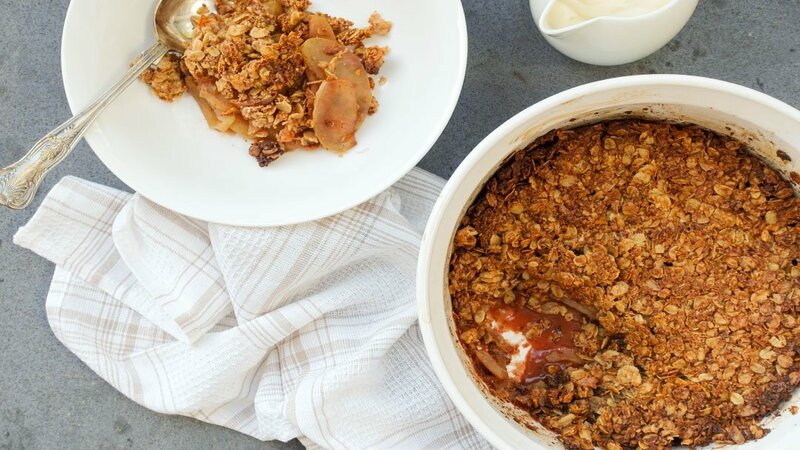 Crispy buttery crumble, sweet apple filling with no refined sugar. Yup no sugar. It’s awesome. And it was the top 5 most popular recipe on the blog this year. Next up. Another easy, cheesy delight. 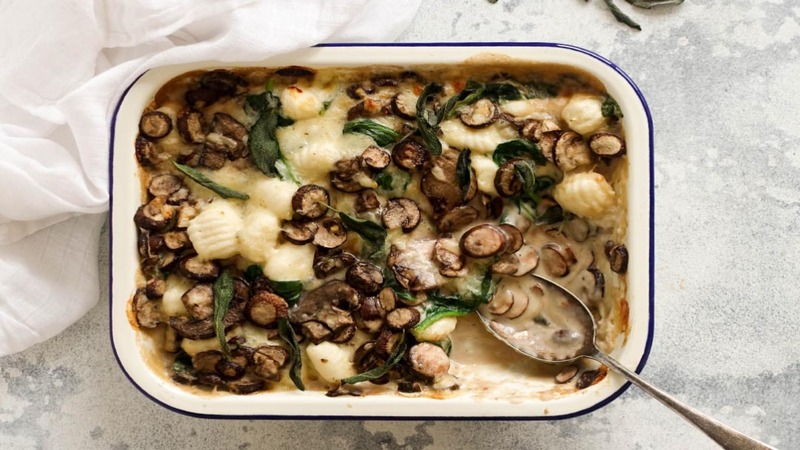 Creamy Mushroom Baked Gnocchi. The thick creamy sauce is made with milk, so it’s lighter than your usual heavy creamy pasta sauce. And you guys loved it. Cos, creamy and delicious. That’s ALWAYS a winner! Get the quick and easy 25 minute recipe here. 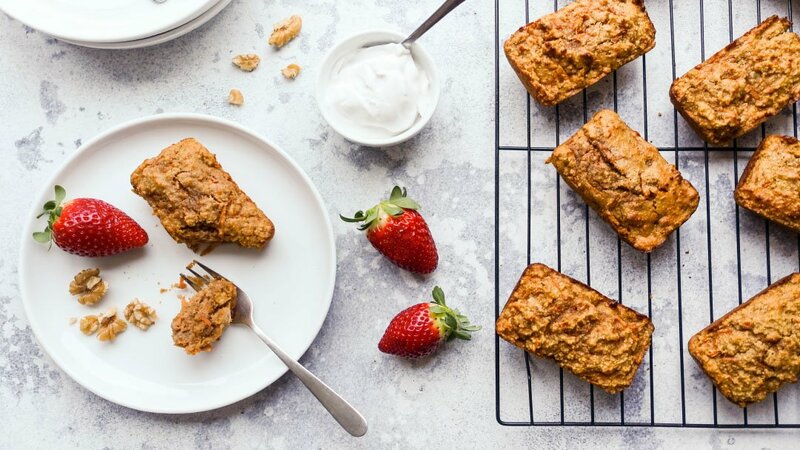 Healthy Carrot Cake. This is not a drill. Gluten Free. Dairy Free. 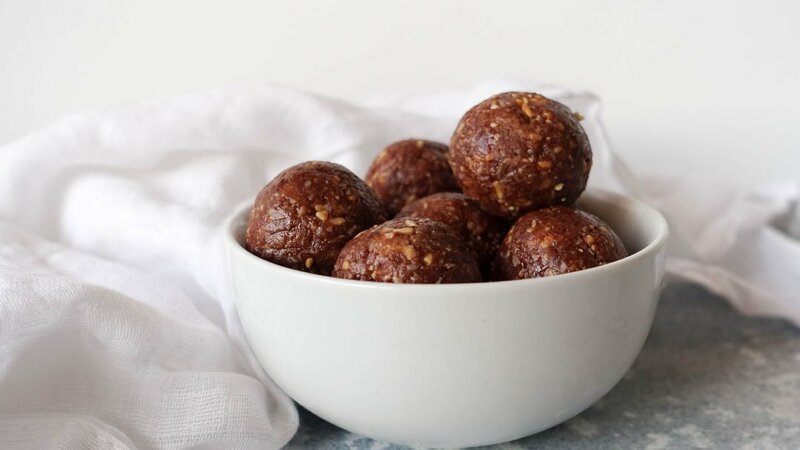 Refined Sugar Free AND completely delicious. Plus, they take less than half an hour to cook. You guys even used this recipe to make super yummy muffins and carrot cake loaves. So, freaking clever! If you needed proof, that healthy can taste amazing. This is the recipe you need to try. Turns out you guys like a sneaky curry as much as me. Coming in at number 8. My Chicken in Hurry. Takeaway curries are usually heavy on the cream and light on the veggies. Not this one! It’s loaded up with veggies and uses yoghurt instead of cream. Plus, it only takes 20 minutes to cook. Start to finish. 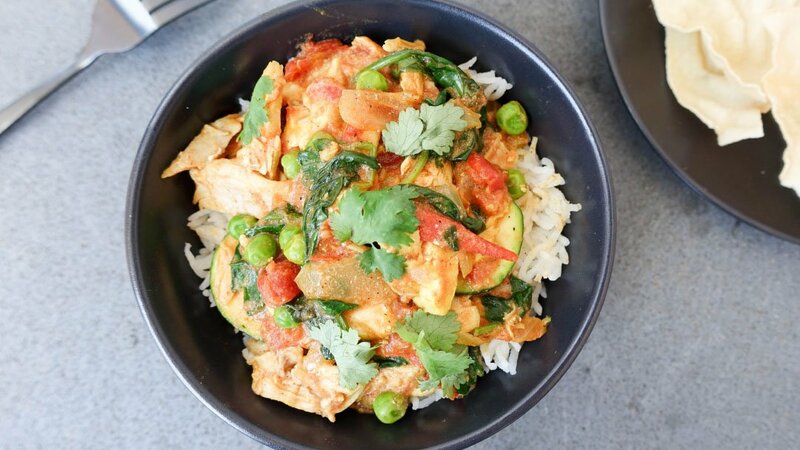 Put down the takeaway menu and click here for the quick and easy fakeaway recipe. You guys loved these scones. Made with yoghurt and only a smidgen of butter. Plus, sweetened naturally with blueberries. 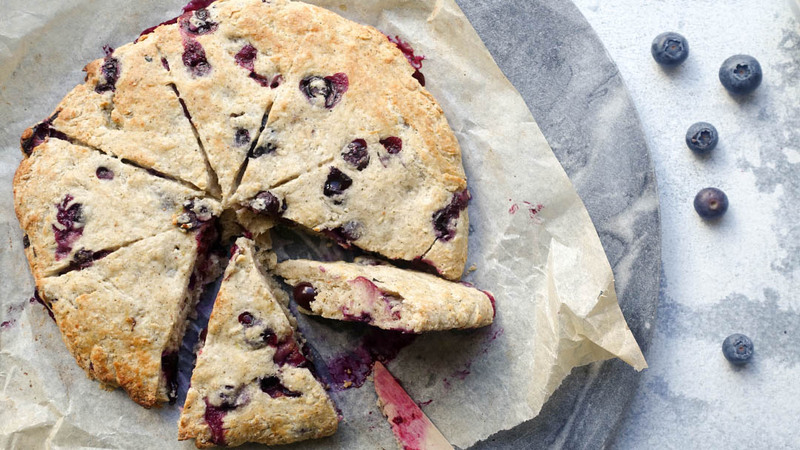 These scones are light, fluffy and totally delicious. Turns out they’re lucky too. More of you lovely peeps won the monthly draw for a YTGT tote bag, cooking this recipe than any other (competition deets below if your a keen bean). If that’s not a reason to switch on your oven and cook up some yummy scones, I don’t know what is. You can grab the recipe right here. And coming in at 10th spot. That time I made spaghetti bolognese even easier. 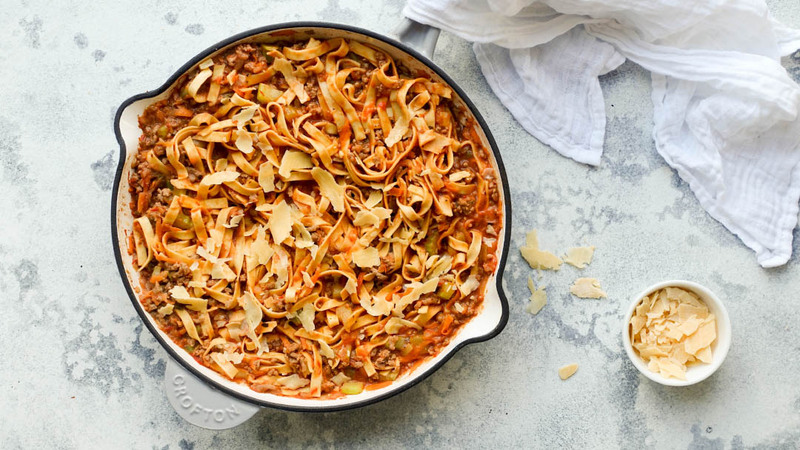 If Spag Bol is a staple at your house you will LOVE this recipe. Thanks to a simple hack you can cook spaghetti bolognese in less time and in one pan. It’s no-stress, weeknight dinner genius, and *will* change the way you cook spaghetti forever. Get the one of my favourite quick and easy recipes here. 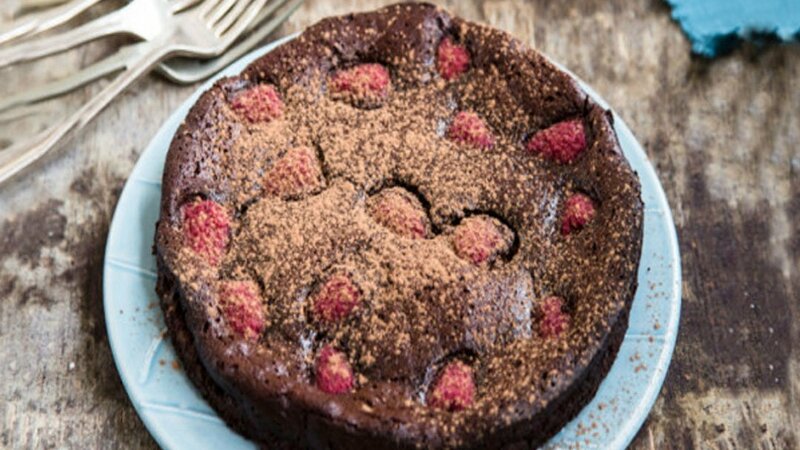 The recipe that won your Insta hearts? The Cheesy Beef Taco Bowl. And here’s why? Fresh, healthy, super tasty and FAST. Like dinner in 20. BOOM! 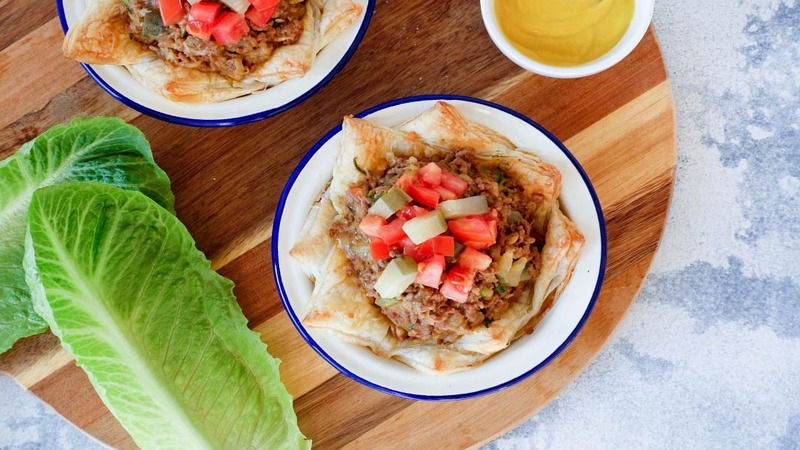 Plus, it’s a legit excuse to eat corn chips for dinner. Grab the easy weeknight dinner recipe right here. Quitting sugar doesn’t mean you have to give up cake. No way! That would be craaazy!!? And guess what? It was your favourite blog post of the year and you can check it out right here. I’m coming in for a BIG virtual hug. I want to say…THANK YOU! You might not know this, but every time you cook one of my recipes, click on a post or leave a comment, you make my heart want to burst (in the loveliest possible way). Why? Cos I’m so happy knowing that we’re in this together. And 2018. CAN YOU EVEN BELIEVE IT?!! Nah…me neither. But, good news. I see lots more quick and easy recipes in your future. Knew you’d be happy! It was the winner by a long shot. 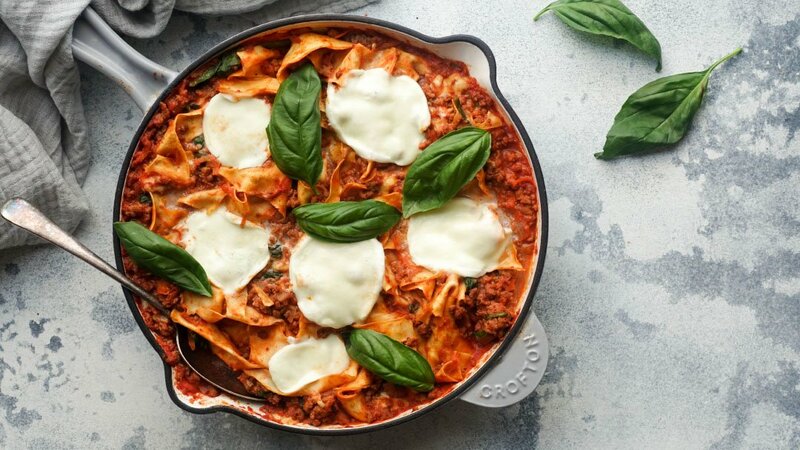 The one pan lasagna is the BOMB!!!! Hands down my favorite, so glad it made the list!! Love the new blog layout, Rani you are amazing and you totally got this girl!